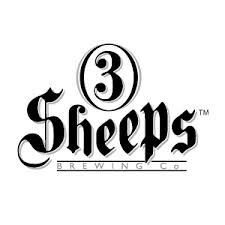 Next Meeting – June 5th with 3 Sheeps Brewing! We are headed to Ubeer Gastropub in St. Francis for our June Meeting! Ubeer is located at 3807 S. Packard Ave (formerly Attebury’s Pub). The fun starts at 6 pm. Grant Pauly from 3 Sheeps Brewing will join us for sampling and discussion. Yum! Hope to see you there! There will be a $5 fee for this meeting. If you are planning on attending, please RSVP to the Facebook event. This entry was posted in Uncategorized on May 22, 2014 by barleysangelsmke.